Folgers Custom Aroma Roast Coffee Packs are made from rich, mountain-grown coffee that is custom roasted for 34 percent more flavor. 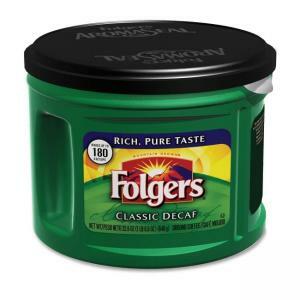 Interlocking AromaSeal lid makes sure you enjoy fresh-tasting coffee every time. Snap-tight lid helps seal in fresh taste and aroma. The inner seal peels away easily and eliminates the need for a can opener. Coffee is designed for use in coffee-makers.